The Gersberg Alm "Romantik Hotel"
No loud noise. No stress. Only fresh air and idyllic nature. Near the city of Salzburg yet surrounded by green is where you will find this oasis of peace, energy and joie de vivre. Whether you are here for a seminar or event, on holiday, or to eat in the hotel restaurant: at the Gersberg Alm "Romantik Hotel" you will enjoy worry-free moments while simply feeling great and relaxed. Would you like to get away from everyday stress? Take full advantage of your leisure time? Visit the famous Salzburg Festival? Explore nearby Salzburg and the Salzkammergut region? No matter what you're in the mood for: at the Gersberg Alm, you can enjoy all of this and more! Let your soul rest, be a bit lazy and enjoy the dreamy location far from everyday troubles: a holiday at the "Romantik Hotel" Gersberg Alm means all of this and more! Take in the views of the city of Salzburg spread out before you, listen to nature's sounds while relaxing by the hotel pool, and breathe in the fresh mountain air. To put it simply: enjoy every minute with all five senses! Discover the majestic mountains and clear lakes of the Salzkammergut on a hike or bike trip. Stroll through the narrow streets of Salzburg. Go shopping or treat yourself to a coffee in one of the city's coffee houses. Thanks to the Gersberg Alm's top location on the edge of the city of Salzburg, you will have the chance to enjoy so many things! Softly sweet. Refreshingly sour. Subtly hot. A wonderful scent wafts through the air. Come in and have a seat. Taste the variety of spices. Enjoy the delicious mix of flavours. Let the tasty dishes melt in your mouth. Can we recommend a glass of wine to complement your meal? 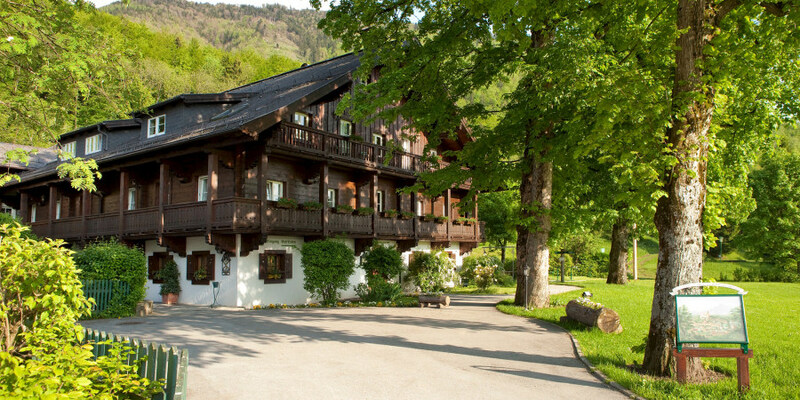 Treat yourself to high-class home-cooked meals at the Gersberg Alm restaurant. Are you interested in staying at the Gersberg Alm? Send us your non-binding enquiry today. We are happy to help if you have questions or need more information. Our goal is for you to feel wonderful here – and we take care of that personally!